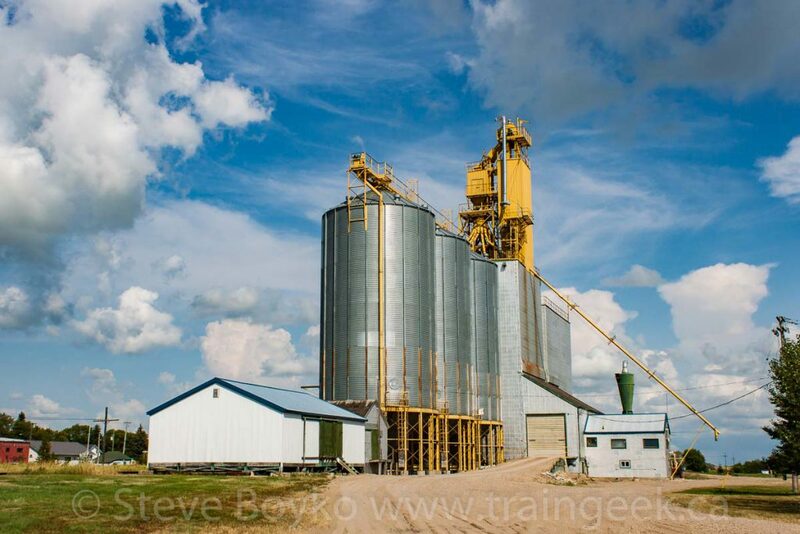 Grain elevator in Alexander, MB, Aug 2014. Contributed by Steve Boyko. 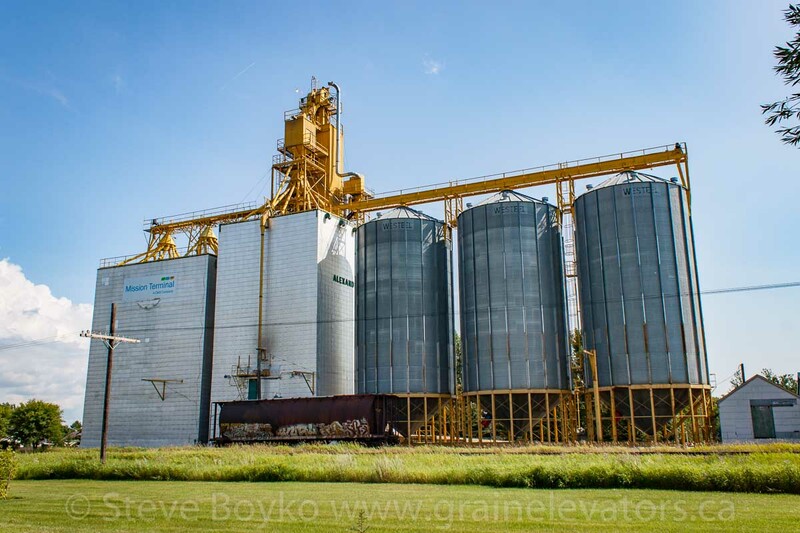 The Alexander grain elevator is currently owned by G3 Canada Limited. This elevator was a Manitoba Pool elevator, likely built in the early 1980s. It has a capacity of 5,800 tonnes in the central elevator, annex and attached bins. This elevator was operated by Mission Terminal Inc., which became owned by the Canadian Wheat Board (CWB) prior to its acquisition/renaming to G3.